It is fun to drive around and see the variety of decorations around the city. This house I discovered tonight as I was out admiring the lights. 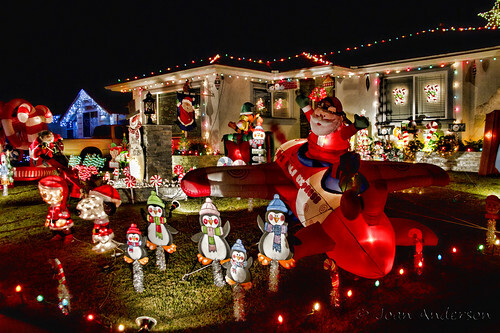 It is the Toyland winner of the 2011 Holiday Home Decorating Contest.